Spring/summer weekends? School holidays? Wondering what to do with the kids? Well, don’t let the grass grow under your feet! Weekends and holidays are the perfect chance to introduce your children to gardening. You’ll probably find that getting them into the garden for more than kicking a ball around won’t be that hard (you just know they’ll love getting their hands dirty and spending whole days kneeling in the muck). Chances are their crèches and schools have already introduced them to planting and watering – and there are lots of kids’ books and TV programmes to help the cause – so here are my top tips to get kids’ green fingers twitching. * Keep the jobs varied and make it fun. The messier, the better: digging up root vegetables and picking fruit are ideal. * Give them their own little plot for sowing projects. * Get them kiddies’ gardening tools – they’re cute and colourful, and easy to use. Get them a magnifying glass, too – you’ll unearth plenty of bugs. * Seed kits and growing sets alongside miniature gardening gear will make them eager to try out new things. * Plant quick-growing crops, such as radishes, pumpkins, peas, carrots, lettuce and sunflowers, so they will get the satisfaction of seeing their “work” within weeks. * Sow what you know they love – berries, cucumbers, sweetcorn. * Go for colourful, funny-looking flowers, like Three-Birds Flying, White Egret or the Crested Cockscomb. * Grow scented herbs such as rosemary, sage, mint and basil that you can use in cooking. 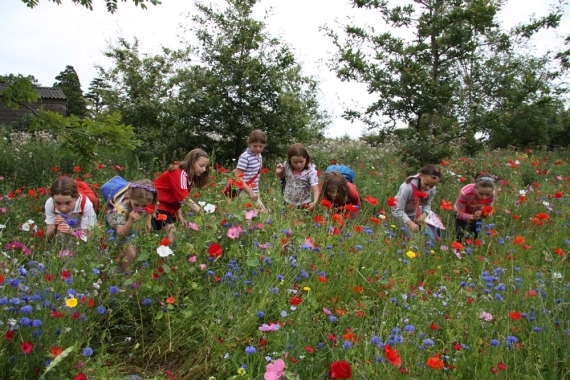 * Join a gardening club or community garden where children can learn from older gardeners. Gardening is a brilliant way to provide recreation, adventure and education to children, and to cultivate the value of healthy, own-grown food, giving life-long skills they’ll thank you for later in life. But the garden is not just for growing and digging up stuff. Try making a scarecrow, building a bird house or having a family scavenger hunt… You can be sure the kids will dig it! Posted in FamilyTagged garden, kids, thingstodoBookmark the permalink.